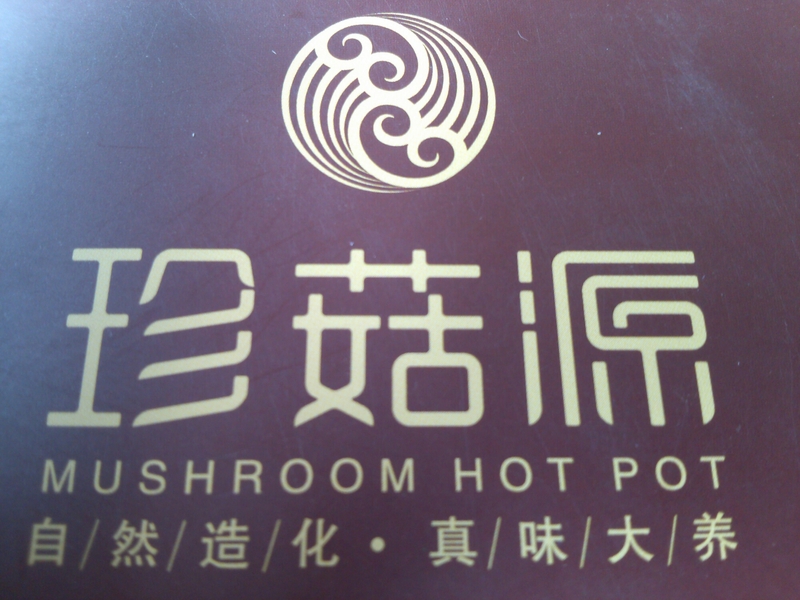 This restaurant is near the Big Goose Pagoda in Xi’an city, China. Mushrooms are misunderstood food in America, but are very nutritionally dense and low calory. The most important thing to know is they are more medicinally dense compared to pharmaceuticals. Please consider eating everyday and a wide variety in to your regular diet for superior nutrition. Grace and her parents and I went to to the grave site and national park of Emperor Huang Di (English translation Yellow Emperor), one of the most important historical sites in all of China. Located in the Loess Plateau in Shaanxi Province. The Yellow Emperor is said have lived and ruled around 2700 BC and is considered the first Emperor of China. All Chinese people believe to have descended from him. The Yellow Emperor is said to have survived a great flood. This maybe a parallel history with Biblical recorded history of Moses or his sons. The Yellow Emperor united many Chinese territories and created the first writing system. Through out history the greatest Chinese emperors after have visited and paid homage and prayers to the Yellow Emperor’s grave site. Including Emperor Qin, the powerful emperor of 200 BC whom is known to have built the Terracotta Warriors. And more recently Mao Zi Deng, the cultural revolutionary of last century. It’s humbling to think that I would walk in the footsteps of of the greatest historical Chinese figures. The sight is relatively unknown to foreign travelers and tourists. The tomb is in a remote location and not near other tourist hot spots. 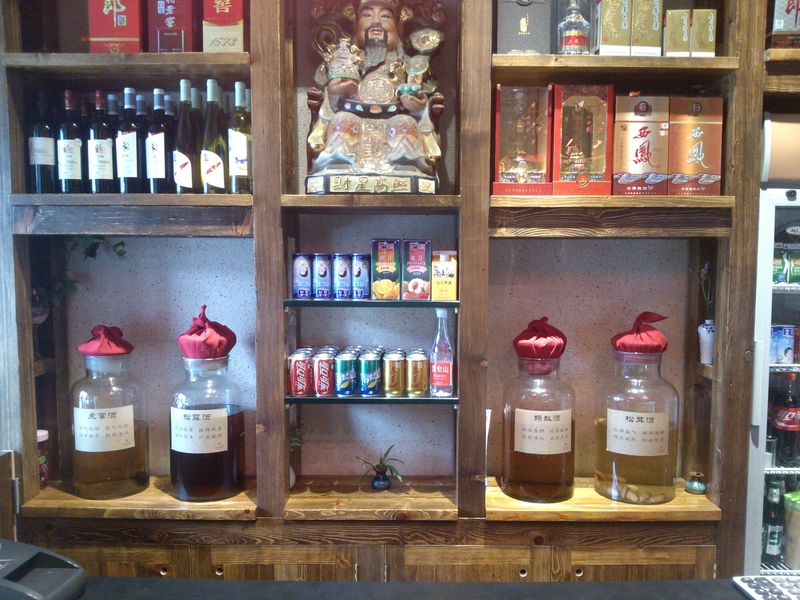 The Chinese culture is steeped in ancestry worship and veneration, westerners typically do not know. (Even Wikipedia doesn’t have all the info). The Yellow Emperor was venerated throughout the past several millennia and celebrated by Chinese kings and people even today. One thing that caught my interests specifically was the ancient Cypress tree grove in the main courtyard, that are said to have been planted by the Yellow Emperor’s own hand potentially 5,000 years old.. Later generations have planted hundreds more Cypress trees. Even over 2,000 years ago. There may not be any other old growth forests in existence of this magnitude that have been hand planted. 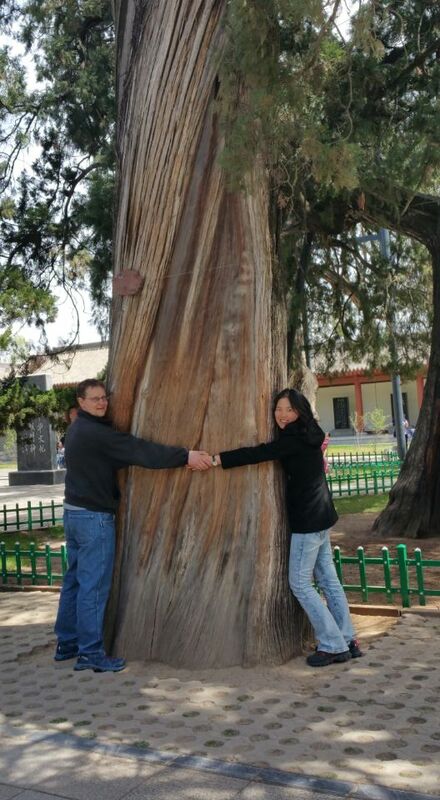 Some of the trees are so thick around the base that it would take 7 people’s outstretched arms to hug the tree. I was able to take a branch cutting. I hope to root it or clone the DNA. When I get back to America I want to reach out to Archangel Tree Archive in Michigan for their advice. They are experts at saving the ancient Redwood trees (which are the same family as Cypress trees). 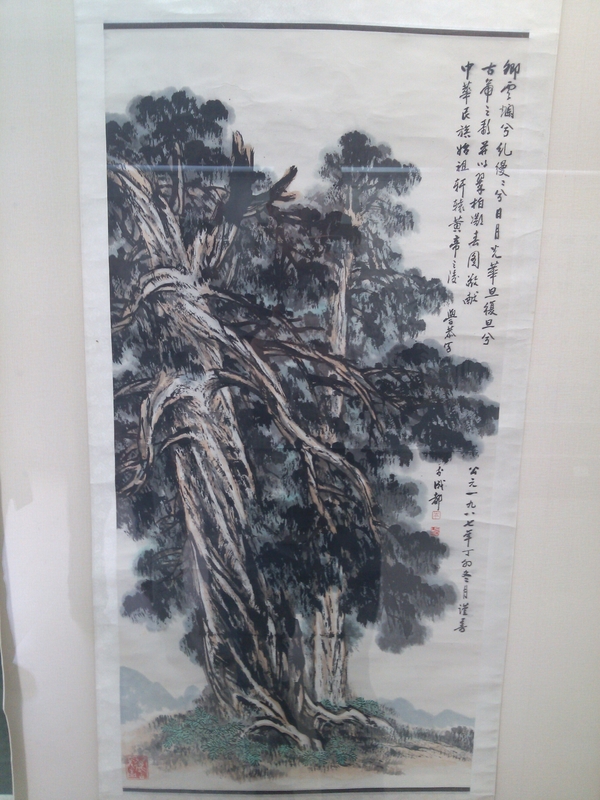 My mind is blown that I was able to get a small cutting of an ancient tree that was planted by the Yellow Emperor, respectively! Grace and her parents and I went to to the grave site and national park of Emperor Huang Di (English translationYellow Emperor), one of the most important historical sites in all of China. Located in the Loess Plateau in Shaanxi Province. The sight is relatively unknown to foreign travelers and tourists. The tomb is in a remote location and not near other tourist hot spots. The Chinese culture is steeped in ancestry worship and veneration, westerners typically do not know. The Yellow Emperor was venerated throughout the past several millennia and celebrated by kings and people even today. 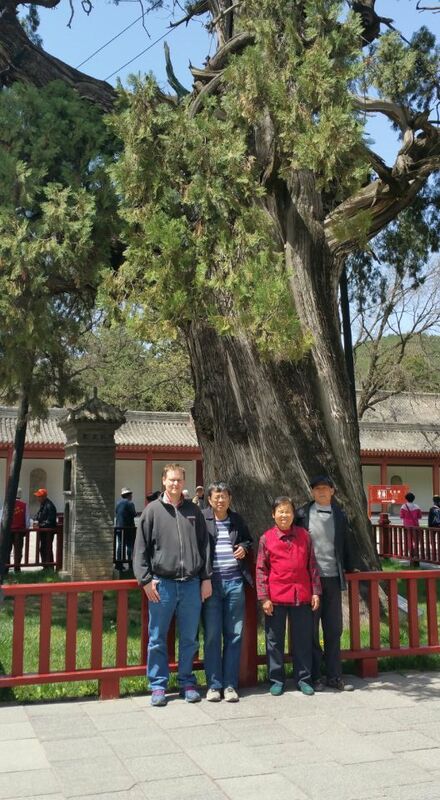 One thing that caught my interests specifically was the ancient Cypress tree grove in the main courtyard, that are said to have been planted by the Yellow Emperor’s own hand. Later generations have planted hundreds more Cypress trees. Even over 2,000 years ago. There may not be any other old growth forests in existence of this magnitude that have been hand planted. I’ll will write more about how I fair with propagating it. Rooting from cuttings is cloning the tree. Cloning is a good idea since I know this tree to have amazing tasting persimmon fruits; so cloning has the same DNA and would stay the same taste. As opposed to starting from seed, the gene pool randomizes and possible to get a bad tasting fruit. Also, my Chinese uncle offered me root cuttings of his tree, which would also be cloning the tree. We went for a walk in Grace’s uncle’s neighborhood. 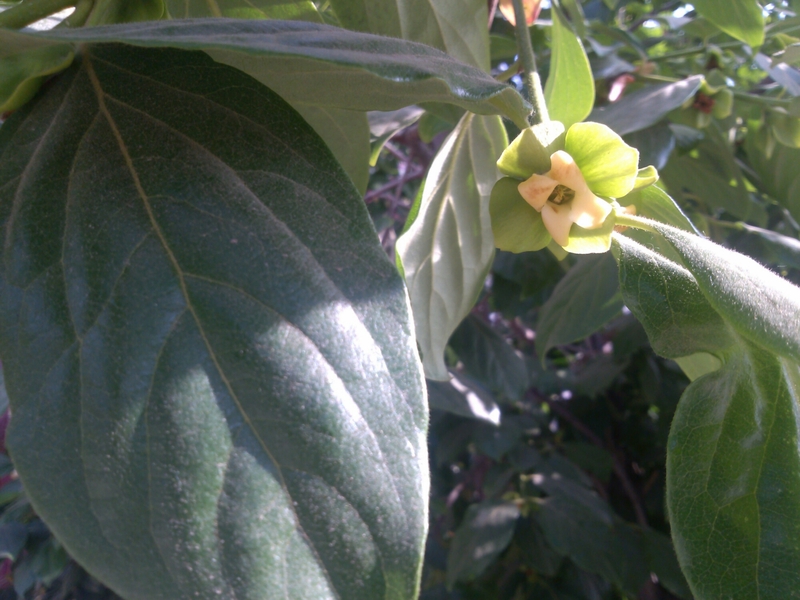 There are persimmon’s growing all over in this neighborhood. I was tempted to steal a branch from another neighbor but I didn’t. There was a grove of locust trees with seed pods 10 – 12 feet up in the tree. A man had a bamboo ladder and now I regret not asking him for some seeds from his grove. I’ll keep my eye out for next time. Uncle and my in-laws offered me Persimmon cuttings and they saved some seeds for me. I’m happy and content. Next I will write about some Ginkgo Biloba cuttings. 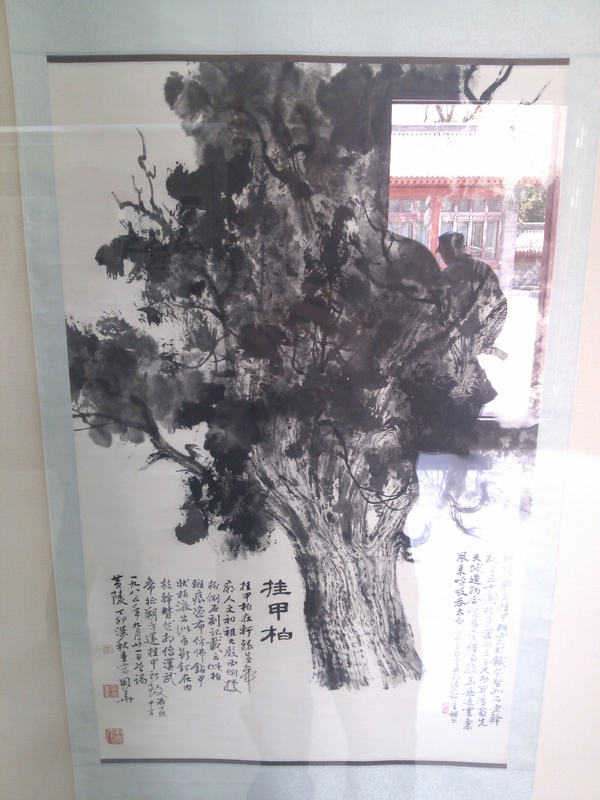 This Sunday we will go to a Buddhist Temple where there is an ancient Ginkgo tree. It would be a miracle if I can clone that! Thanks for reading. Feel free to like, follow and comment. Chinese mom went wild foraging for the edible white flowers of the Locust tree. Now they are in season. Grace and I were in Xi’an and not available to go foraging. But we did help to sell at the farmers market. “Hui hua, yi quai, wu jin” we called out at the market, which translates to Locust flowers, 1 quai for 5 grams. We had two large bags full of the Locust flowers but we were not selling anything. At one point Chinese mom left me alone to watch our stall, and they went off to buy some vegetables for dinner. Two older ladies walked by and I said the sales pitch “cai hua…”. And they laughed and walked away. Grace told me later that cai hua is cauliflower and not hui hua which is the Locust flower. Woops! Anyhow, we left without any sales. Another man that is very successful everyday selling a lot of cabbage advised us to bag up 2 quai bags for people to grab and go more easier. Instead of using the old school scale to measure it out. When we were walking home from the farmers market (which is about 3 miles), a man on a electric motor bike stopped and bought from us. So we started hustling everybody we saw walking home: ladies sitting in the shade, a mother pushing a baby in a stroller, a landscaping crew, a street food vendor. We made about 6 quai today, which is less than 1 dollar (1 dollar is about 6.4 quai in the latest exchange rate). 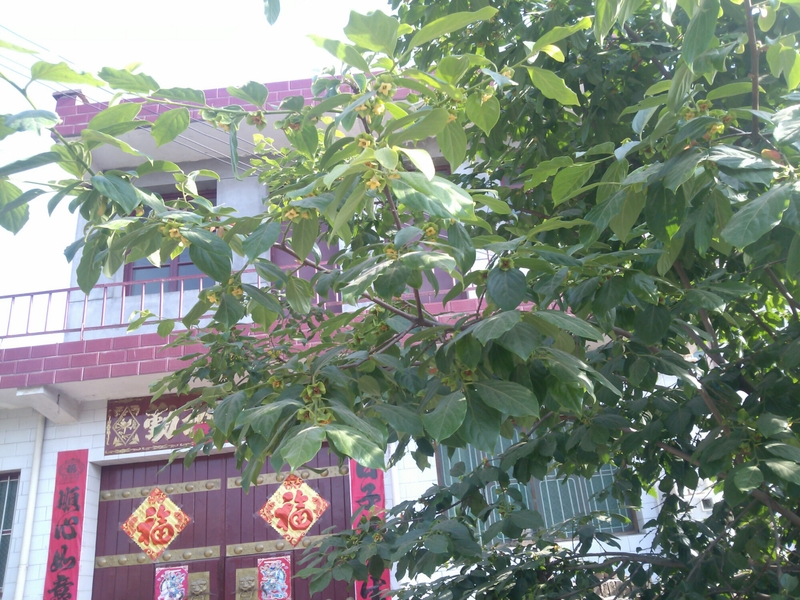 I told Chinese mom I’d like to help her to forage for more Locust flowers, but sounds like she is discouraged to get more. I would like to get some seeds and cuttings to bring back to America. Outskirts of Gaoling, Shaanxi Province, near the Jing He River and Wei He River merging together. Chinese mom, Grace, aunt and little cousin all wild foraging for the wild greens you can see growing all around in the picture. I found the best greens to be growing in leaf litter under trees and brush to be taller, greener and less bug bitten. The soil being covered is being nourished and protected. The greens in the open are susceptible to compacted earth, wind erosion, and easier access for other foragers. 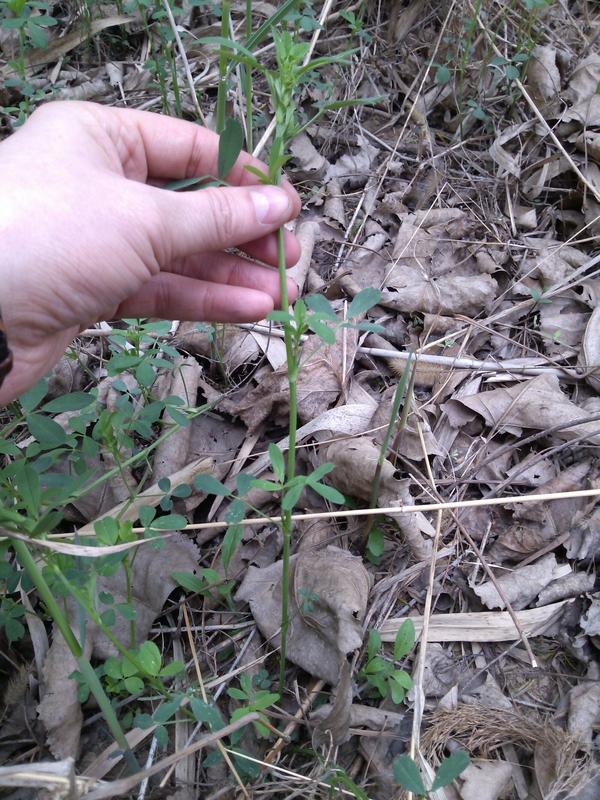 We stayed longer than I thought, probably about 5 hours; and harvested maybe 10 – 20 pounds of these edible weeds. Filled up a large bag, several small plastic bags, and an eco-friendly bag. I ended up becoming dehydrated and feeling dizzy. Bending over and squatting down for several hours did me in. My Chinese family tirelessly harvested the whole time. Cousin finally came back to pick us up in the car with well received bottles of water and tea. I walked around and found some locust trees and persimmon trees. I wanted to take some cuttings, but so many people were around staring at me. 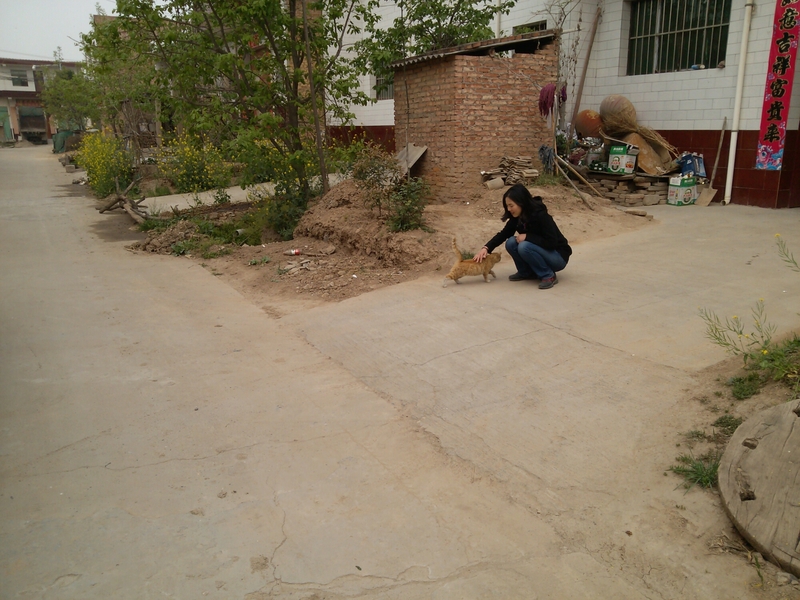 Foreigners never go to these small farming villages, so they are surprised to see me. Next time I’ll post about Persimmon trees. Saw an eye opening fertilizer practice. My Chinese family asked me not to take pictures. They didn’t want me to even know about it. There are these toilets that are basicly just a hole in the ground that you do your business in. Westerners often call these, “squattie potties.”. I’ve always assumed after the hole filled up with waste that it would simply be taken to a field to be buried. Well I was wrong. The humanure (human manure) was put in a large bucket (wearing a thick mask I might add). Also, the ashes from the wood fired earth oven was mixed in. Ashes are highly rich in minerals. The humanure-ash mix was poured directly on to the garden around the vegetables. Next, they irrigated the sunken garden bed and filled it up with water. Humanure is dangerous practice, I would not recommend it; unless you give it a year or more for the pathogens to run their course and break down to a safe level. My Chinese family have been practicing this way for longer than I’ve been alive; and it has been passed down for 1,000’s of years. 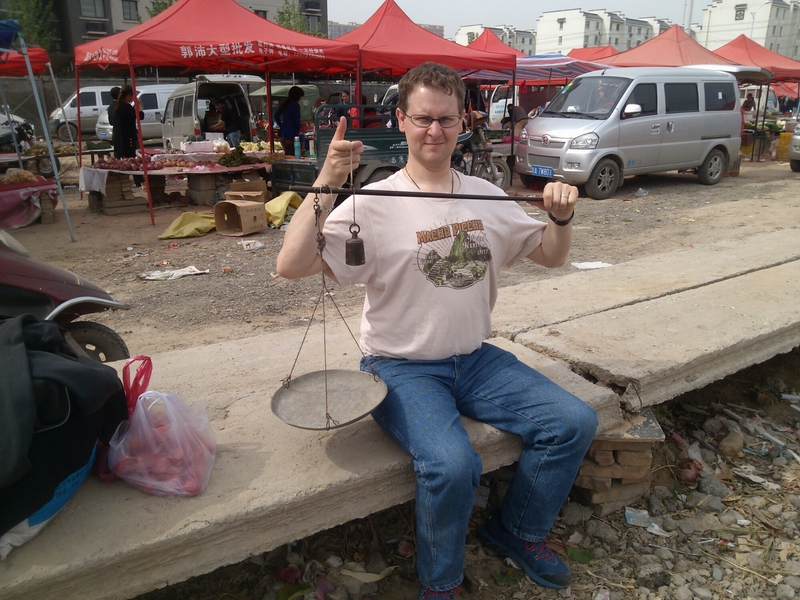 Thanks for reading about my adventure in learning Chinese farming. Follow this blog to be notified of the next content.